Photograph of the cathedra (bishop's throne) in the Church of S. Cesareo, Rome, decorated with twisted columns and Cosmati mosaic work. 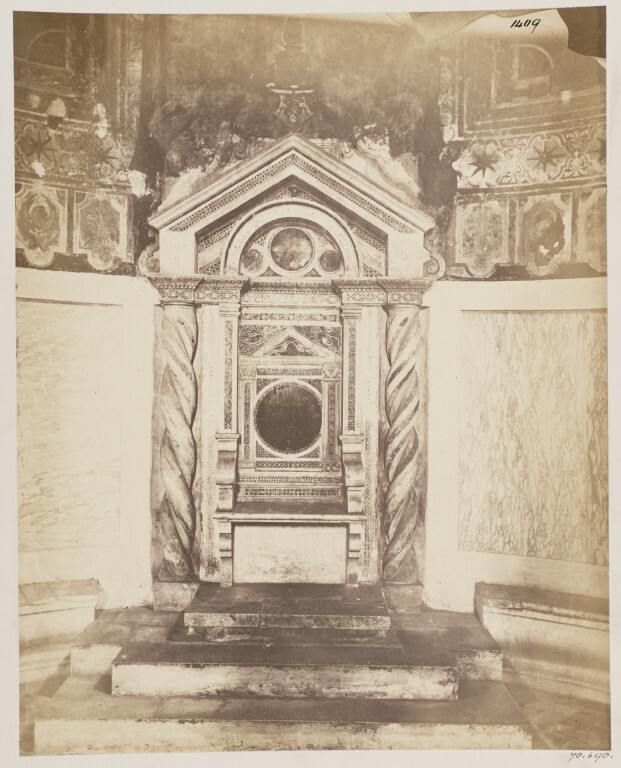 This object is part of a series of over 3,300 photographs documenting the principal monuments, artworks and artefacts of Rome from the classical age to the 1600s. 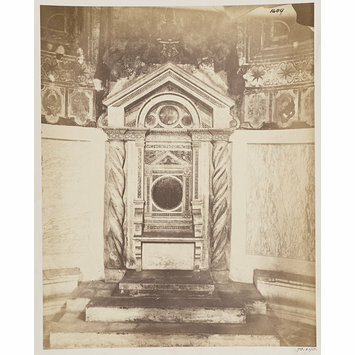 The photographs were taken between 1864 and 1879 under the direction of John Henry Parker, the founder of the British and American Archaeological Society of Rome, and many were published in his Archaeology of Rome (1874-1879). Parker employed local photographers including Adriano De Bonis, Filippo Spina, Carlo Baldassare Simelli, Francesco Sidoli, Filippo Lais and Giovanni Battista Colamedici, as well as a Canadian, Charles Smeaton. The Victoria and Albert Museum holds a large collection of the photographs taken before 1870.